*Warning: Too many pictures below. We are back home after a few days of short sleeve shirts and eating frozen treats outside (rather than eating those inside with my space heater and hot chocolate one foot away from me). I think a trip like this is necessary every January (and Knox is in Mexico right now enjoying even more sunshine). Andrew’s older sister put together this trip. 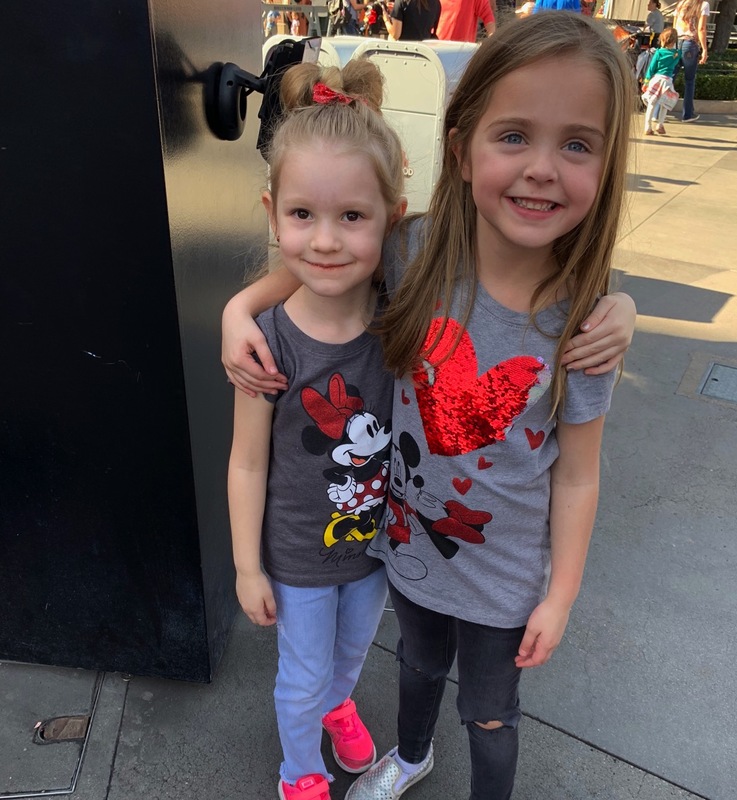 Brooke loved spending time with her cousin that is just one year younger than her. It was really fun to get to know them all even better. They are all about trying as many of the treats and eats as possible which made it really fun too. We started off at California Adventure and rode as many rides as possible. I think Skye was so incredibly confused in the beginning with all of the crowds and weird rides we were going on. We went on Guardians of the Galaxy for the first time and it was terrifying. I love roller coasters but the up and down drops are a little too much for me.. I just had to close my eyes and go to my happy place. I got to meet Michelle while we were there, I love getting to meet you guys around! 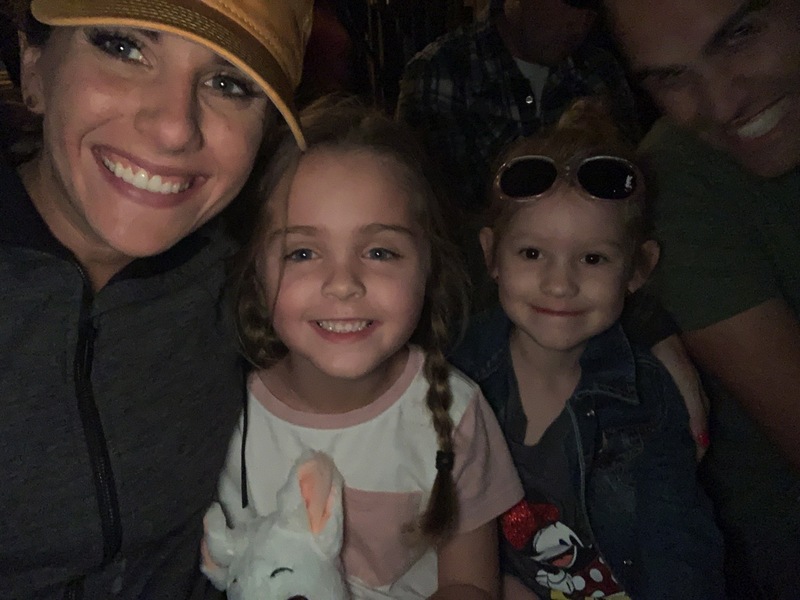 My favorite part from California Adventure was the Frozen live show—> I don’t think Brooke blinked the entire hour. Skye did better than expected while were there. She took just one short nap each day in her stroller and then she was pretty happy the rest of the day. She was beyond busy and active (to be expected) but happy so that was a win. 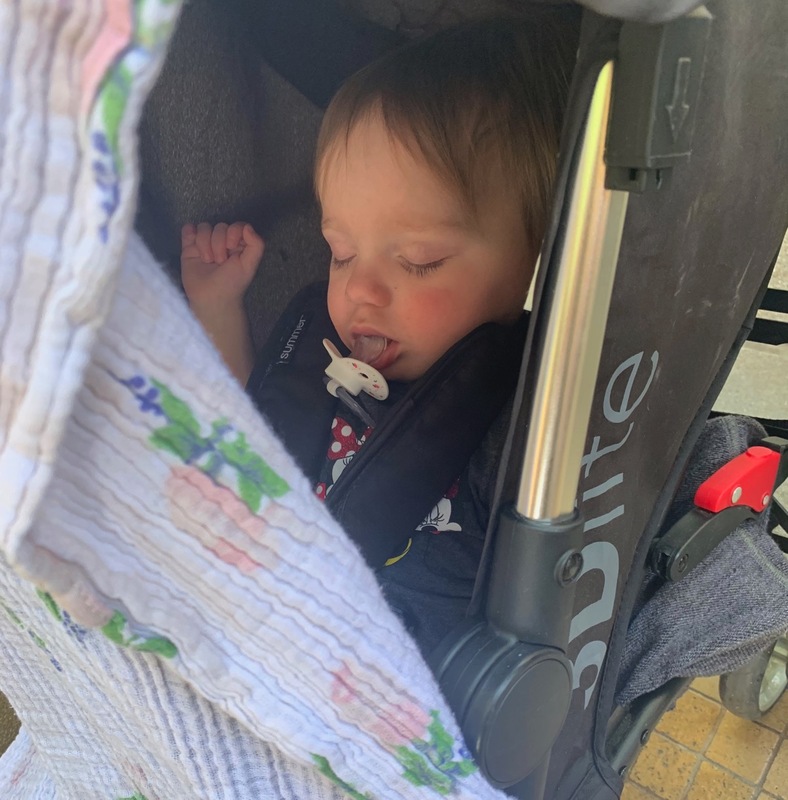 She also had zero desire to be held or in her stroller when she was awake so she stood a lot while in line or waiting for the kids to go on rides. She hasn’t taken a step yet but these little legs must be extra strong after this trip. We stayed at a Holiday Inn on Manchester (it was cheap and had good reviews = works for us) and took the shuttle back and forth to the park. California Adventure is really fun but I just have a special place in my heart for Disneyland (my parents’ first date ((and their first kiss;) was there and we grew up going there often as a family because a lot of my relatives lived in the area). In 9 years Brooke will be in the driver’s seat and I’ll be driving 100 hours with her as I teach her how to drive, ha. My dad had each of us drive 100 hours (no joke, 100) with him before we could get our driver’s license… I remember telling myself at that time that I would NEVER force something so crazy on my future children but now that I have them, I will be doing the same thing, haha. While we were there I ran into a friend of mine from ten years ago. We worked together at a sushi restaurant and she came to my spin classes a lot. It was so fun to meet each other’s kids and catch up. Pirates ended up being everyone’s favorite ride from the trip. We all felt something similar to post-race blues when we were leaving back to Utah. Oh and of course I have to show you some of our favorite food from the trip. 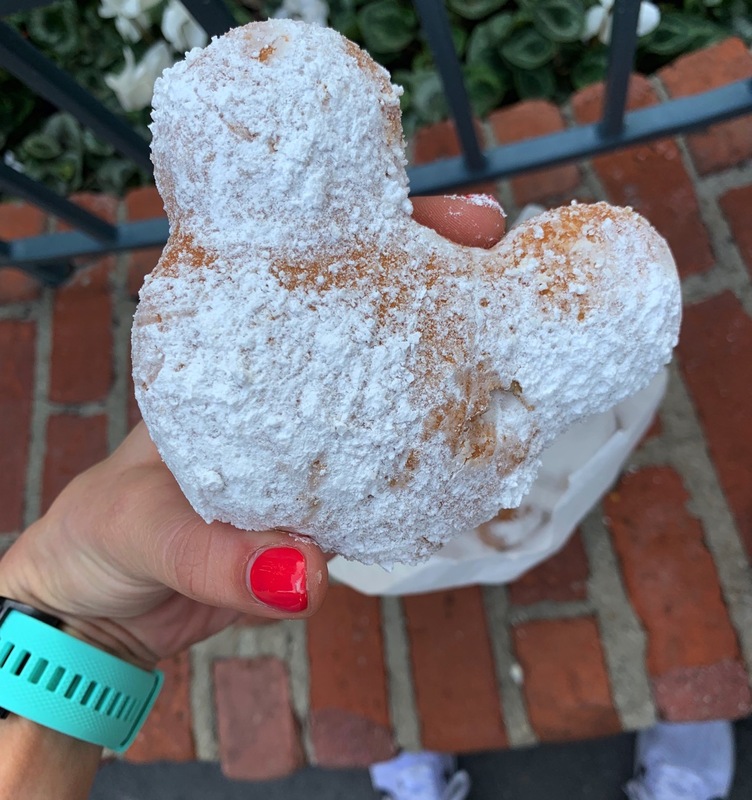 Churros and the Mickey beignets were at the top of the list. 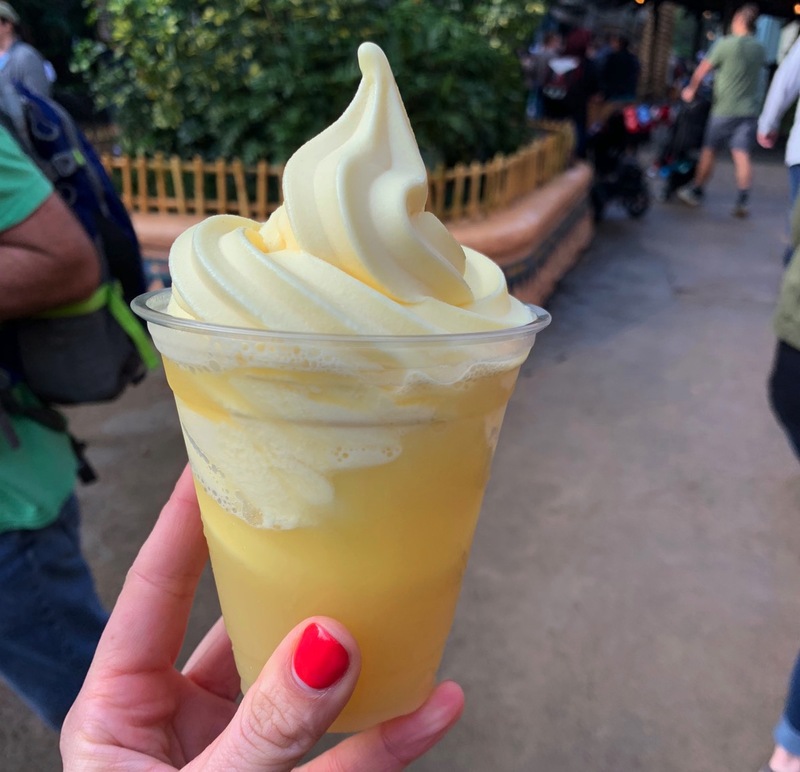 Followed closely by the Dole Whip. 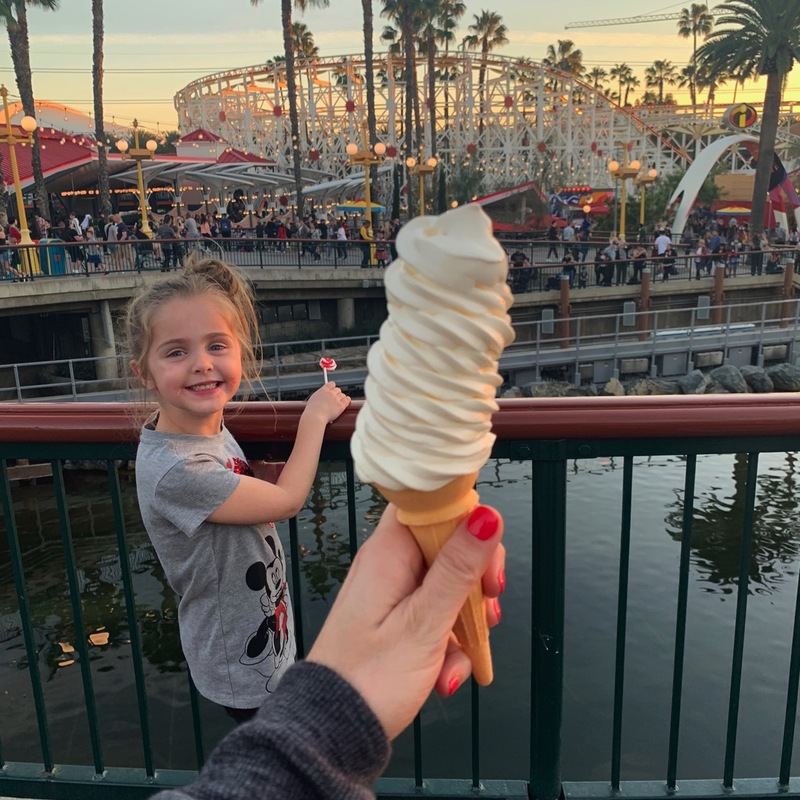 The cone on the pier at California Adventure made for the perfect soft-serve. On instagram someone told me to try this. It was my first time and it was delicious. 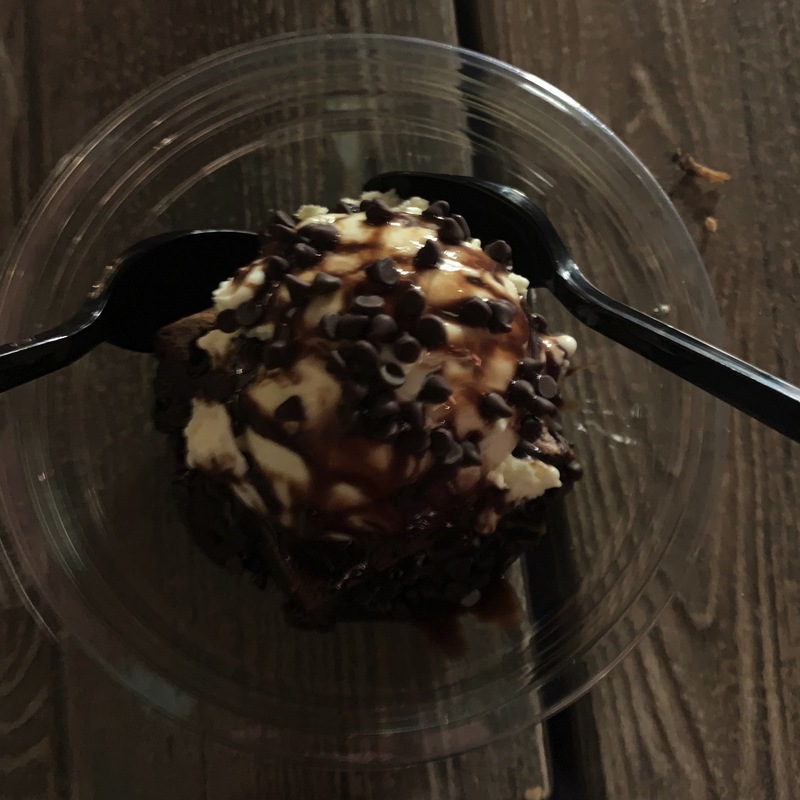 And you can never go wrong with the Ghirardelli sundae. As far as food goes we didn’t have the yummiest meals (sit down places aren’t a great option with Skye so we mainly just grabbed random things for food) but this breakfast burrito in the area by the submarine topped Andrew’s and my list. *We ran into our neighbors while we were there (we didn’t know they were going then too). It’s always funny to see people somewhere different than your normal spots. *They let you do a baby switch off for rides which was really nice. 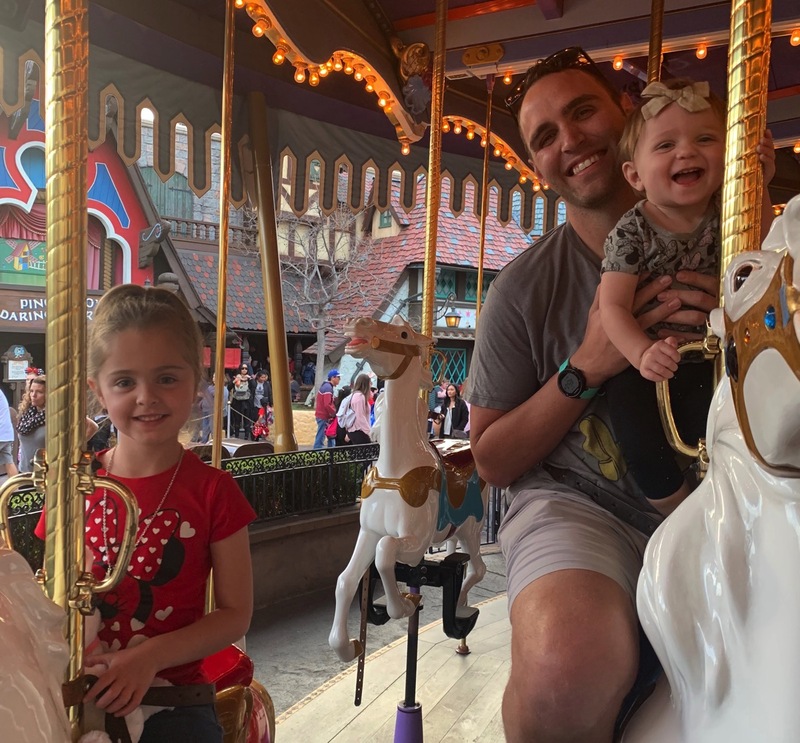 If Skye couldn’t go on a ride then Andrew and Brooke would go first and then once they got off they would let me take Brooke right to the front of the line to go. Also, Andrew’s sister took Skye a few times for us to go on a roller coaster together. 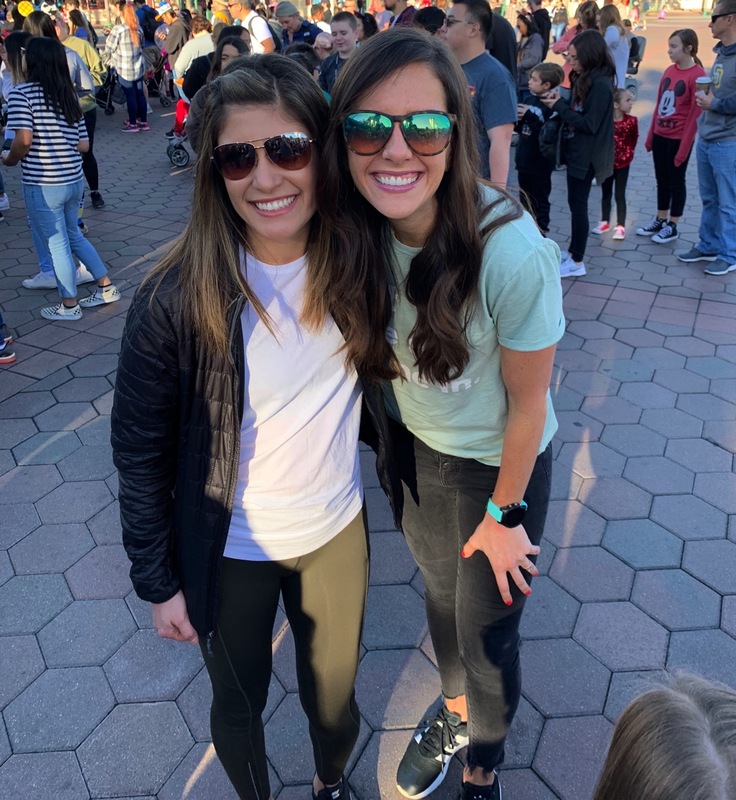 *My feet and body were MORE SORE after a few days at Disney with kids than after my back to back long runs. Either my body only has muscles for running or Disneyland is just really taxing on the body, ha. Also, one night my IT band felt a little off which never happens with running anymore but I think all of the stroller pushing made it act up. *Brooke got to have some time with her dad’s mom (Grammy) that lives down in S. California. She took her to lunch at Downtown Disney and to shop. Brooke had the time of her life getting spoiled. 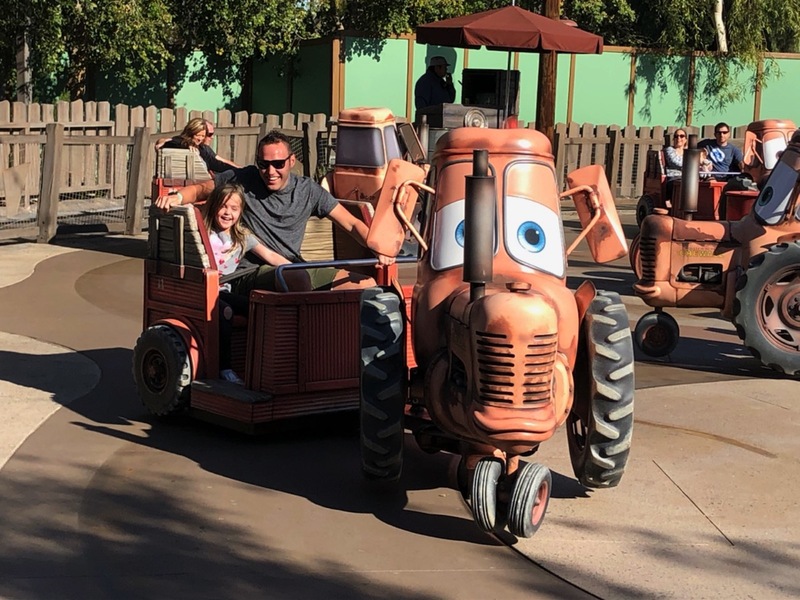 *Max Pass (a Disneyland app for fast passes) was so worth the extra $10 per person… We waited 5-15 minutes for all of the rides (besides the rides that didn’t have the fast pass option). GET THAT if you go. *We were so excited for Magic Hour (getting to go in an hour before the park opens) and thought we would get to just walk onto rides but that was the busiest time of the entire trip… most of Disney is closed except for one area during that time and there were a ton of people so we were in more lines then than at any other time. 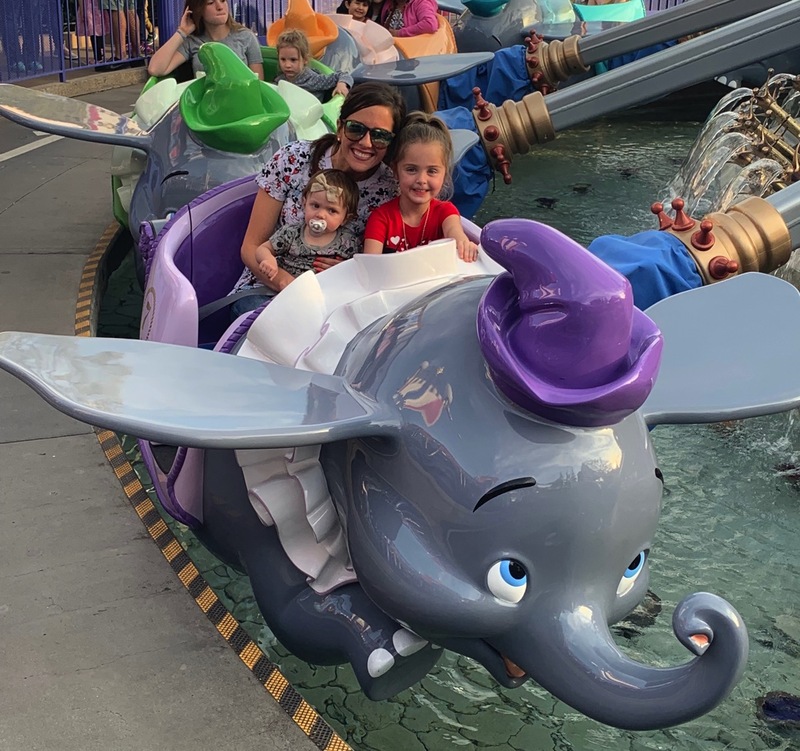 *On our last day during the Pirates of the Caribbean Skye put her arms UP right at the right spot on the ride when the boat drops… I think we have a roller coaster fanatic on our hands. 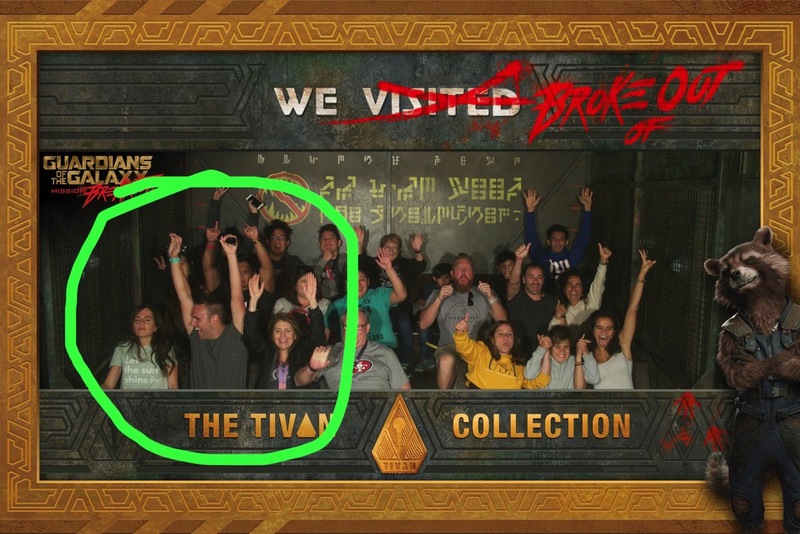 *I think I’m still a little sick after Guardians of the Galaxy… that ride is no joke. *I didn’t even bring any running gear on our trip. I knew my body needed a few days off from training after my highest weekly mileage ever the week before. It was really nice to just focus on family time for a few days without doing anything else. I’m very ready to get back to the miles today along with some vegetables ha. Have any trips planned for this year? When was the last time you took a few days off from exercise? Growing up did your family have certain trips that you guys loved doing? Nature, beach, Disney, ski, lakes, other? I feel like I’ve missed out on your life the last few days… fill me in on what has been happening? How is your running? How is everything else? Eaten anything delicious I should know about? So glad you guys had fun! And how crazy/neat is it to run into friends and neighbors? When my family went to DC when I was in high school, my mom was standing in line and started chatting with the people in the front of her, and it turns out that they were from the same area as us AND he was the owner of our favorite tea company! I ran 3.1 miles on Monday! I was very happy with that as it’s the farthest I’ve run in a while and it feels like the length of a proper run! I stopped and walked a couple times when the injury flared, which at first I was annoyed about, but it actually made me run a lot better and was just a tiny bit of walking. I had to drop out of my March half marathon which I am sad about, but I really want to be healthy coming back. P.S. I love all your Disney clothes! Minnie is the best. 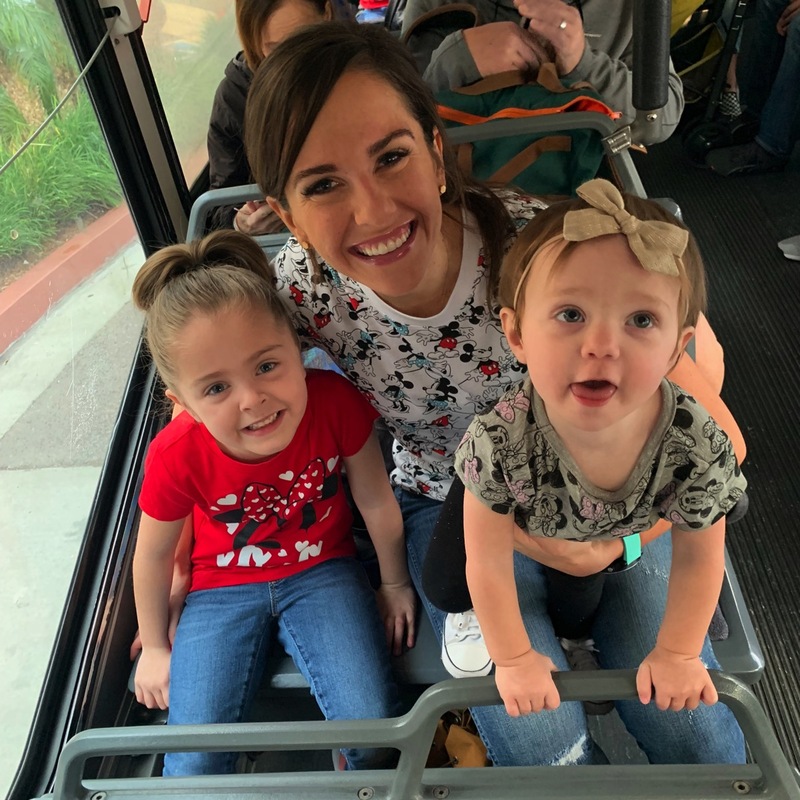 What bag or backpack do you like taking for a day at Disney with the kids and do you have any essential things you bring with you to survive? Love Brooke and Skye’s Disney shirts. 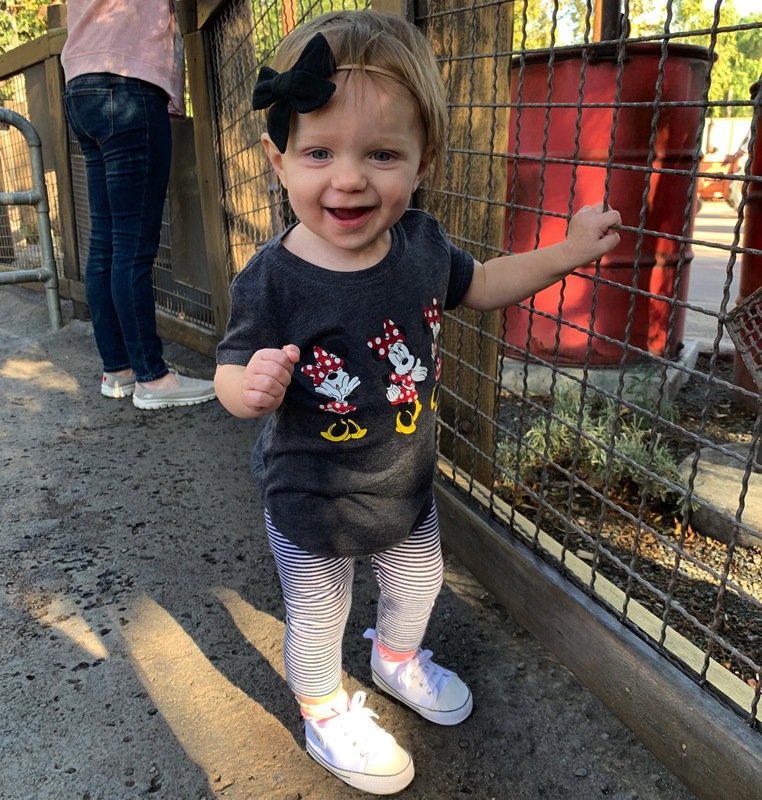 I’m looking forward to taking my daughter Harper to Disney in a couple of years. Hey Melissa! We took our Filson pack: http://bit.ly/2B8c5Ns and loved it! We brought diapers and wipes and SO many snacks… crackers, fruit leather, fruit/veggie packets etc. We had sunscreen in there, chapstick, lotion and I think that is it! We got our Disney shirts at Target. I am so excited for you and Harper to go, it’s the best. Have a beautiful day! We must have crossed paths when we were little at Disneyland. My parents took us all the time because southern California residents barely had to pay anything back in the olden days! :) I have so many great memories from Space Mountain and Pirates and the Snow White ride (my fav when I was little–the witch was so scary haha). I can’t wait to take my kids when we go back to California to visit. Your pictures made me so nostalgic. I’m headed to Arizona for a few days for a family party and I can’t WAIT to do my long run in dry, WARM weather! And hills! I miss the west coast so much! I hope the weather is nice for you for your runs this week! Oh I bet! Yes, remember how cheap it used to be… the best. My niece was so freaked out by that witch haha. Can I join you on that warm long run, that sounds heavenly to me. Have a beautiful day Mollie and enjoy your family party. What a fun trip! So glad that you had the churros and Dole Whip! :) My first time ever at Disneyland was around this time last year. My family usually went to Destin, Florida, when I was growing up, and I always loved those trips! I want to plan a trip to Maui. It’s always been on my dream list, and I want to make it happen SOON!!! I’m really excited because I’ve been building up my mileage! I’m really hoping that I will FINALLY be able to step on the starting line again this fall! Oh I hope so badly that you get to Maui soon! I’m so glad we were in California after all of the rain, the weather was perfect the last few days. YAY TO BUILDING UP YOUR MILEAGE AGAIN. I’m cheering for you Natalie! We’re in the middle of a polar vortex here in Chicago so it’s -50 degrees out. Like literally. SO … Already planning my next vacation to get outta here :) My boyfriend and I LOVED hiking around AZ last weekend so thinking about Zion to do some cool hikes, Boston (for the marathon!! ), Hawaii at some point this year (his cousin lives there so we would just need to pay for airfare which is great! ), Denver to attempt our first 14er, and wherever else the world takes us! I’m super into hiking now and weirdly don’t even miss running when I’m on the trails. It’s also been so good for my knees! No. Way. Can you even leave your house when it is that cold? I am so excited for your BOSTON. Hawaii, Denver and Zion this year too… you’ve got an awesome 2019 planned out. Dude – Hanger is legitimate. And over-tired-so-lets-both-start-yelling-for-no-reason anger. Me and my husband being ultrarunners has let to some LOUD arguments over the years if someone doesn’t have a nap or a protein bar on hand. And we don’t even have the added stress of children! Good to know we are not alone hahaha… I think the ultra training has made our hanger even worse:) . Good idea to just constantly have a protein bar in our pockets at all times:) . Have a wonderful day Liz! 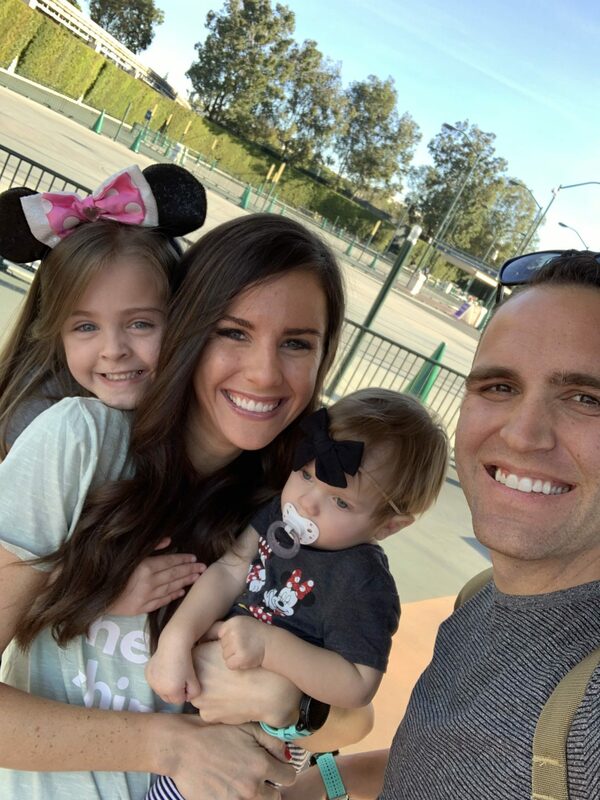 Our family LOVES Disneyland!!! When I was a kid we went once a year. 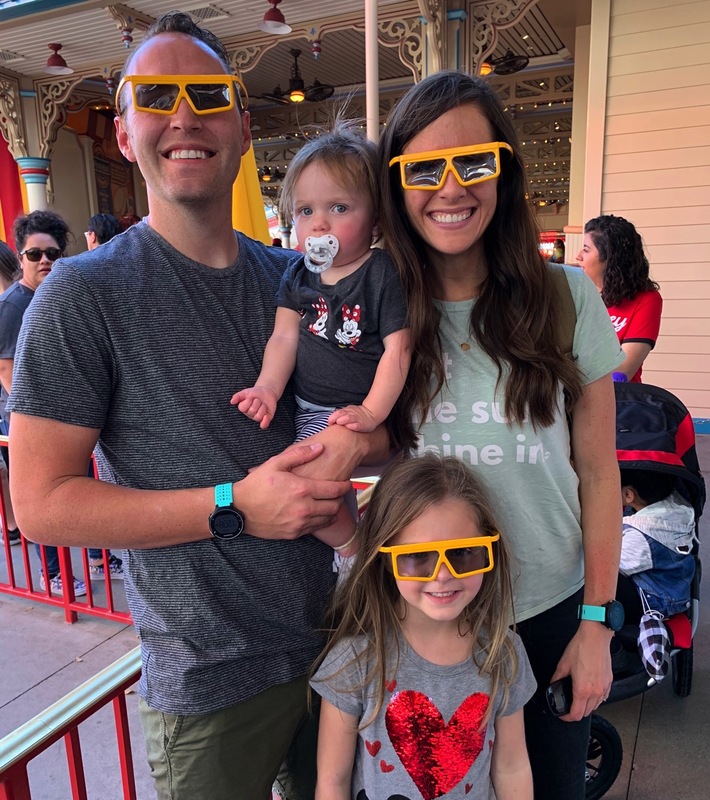 So it wasn’t “where are we going this year?” But instead, “when are we going to Disneyland?” We took our kids for the first time last year and have an October 2019 trip booked! (Plus my hubby and I went without kids last month when we were in LA for a work function for him. #sorrynotsorry). We have two favorite rides Pirates and Big Thunder Mountain. So fun! And the Incredicoaster is a blast as well! Family vacation memories are the best! I’m glad you guys were able to get away and such a good time! OH I love that… I want that tradition with our family:) . I LOVE that you have a trip planned for October, that is my favorite time to go. I love the Halloween decorations and the weather is bomb. Andrew and I were just saying we want to go without the kids one day too haha. Thank you Brandy, have a wonderful day. That looks so fun! Good for you guys for making it happen. I am always so ready for vegetables after vacation too. Vacations when I was a kid were always road trips and camping. We had a great time and only now do I realize how much work it was for my parents to make our vacations happen. Very thankful they were willing to do all of the camping/packing/cooking work to make sure we saw the country. I took yesterday off and lifted instead and today it is too cold to even drive to the gym (-19 right now) so no run today. Tomorrow I will be so excited to run again. These little breaks can be so good. Thanks Ali… seriously a huge salad is just calling my name:) Your parents are awesome and I’m so glad you got to do those trips together… camping makes the best memories. -19?!?! AHHHHHH stay warm and drink a lot of hot chocolate today. I love the Guardians of the Galaxy picture so much! I am glad you had such a wonderful trip. Well I have decided that I am going to start replying to your posts instead of just reading them EVERY day :) LOVED your Disney post SO MUCH! Syke is the bomb – I love how she is standing (SO MUCH) and hasn’t taken a step yet. I can’t wait to hear when she takes her first step. It will exciting to see how long it takes her. DISNEY is my happy place. We have only been to Disneyland once (2016) but I have taken my kids to Disney World (11 times and we are going again in June 2019 – our oldest is 19 years old). 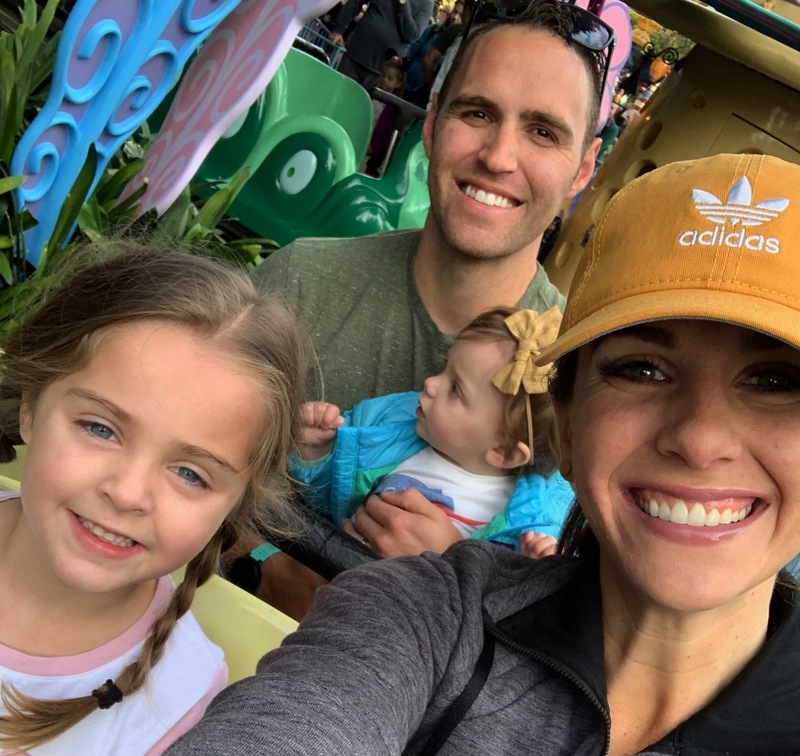 Your family HAS to go to Disney World (but you will need a week and your still won’t do it all). We do LOVE Disney Land but it is so far away from us (we live in WV). This past December we went at Christmas for the first time – and it was AMAZING! How far of a drive is it to DisneyLand for you? We can drive to DW in 12 hours. I loved seeing all of your pictures of the snacks! 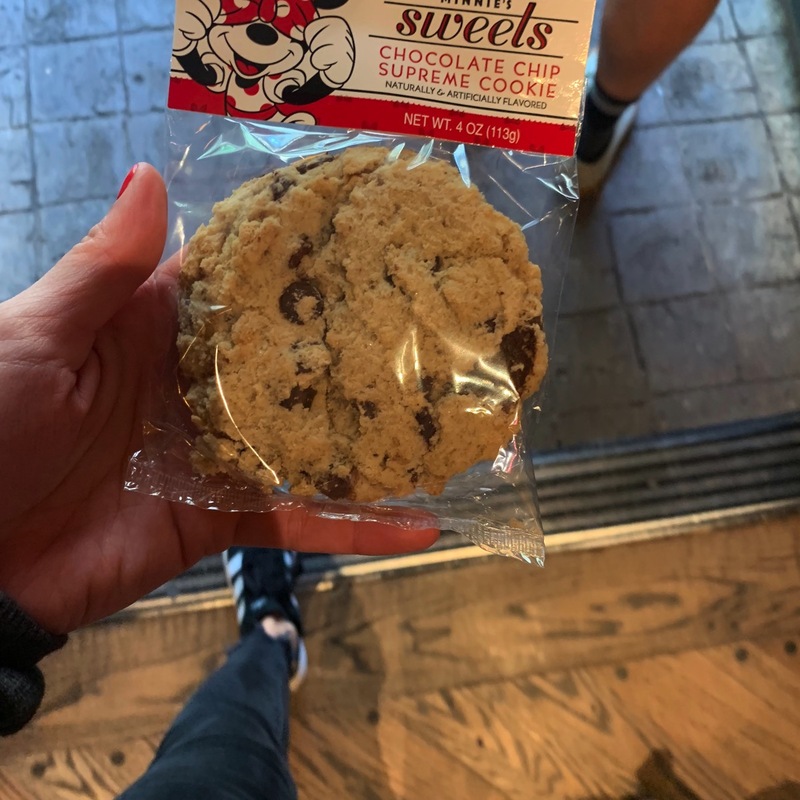 have never seen that Minnie cookie before at DW – Did you happen to read the label regarding allergies (maybe?). My son has a severe nut allergy and he would love that cookie. Disney is so amazing with food allergies. We were very disappointed that they took away the character cookies that he used to be able to buy. They weren’t there during our June 2018 trip. I am hoping that the cookie you showed will replace them (and it will be peanut free). He also can’t eat anything that has been processed in a peanut facility. Disney is just the BEST!! We have ran into people that we knew at a rest area. How strange that we have the same stop at the time going in the strange direction. It is really a very small world!! 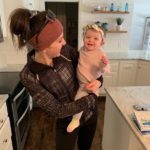 I am training for the Pittsburgh Half on 5/5 and then on 5/24 I will begin training for my first sprint triathlon – I am SUPER nervous about the swimming…. I love hearing about your ultra training – you inspired me to go outside of my box and train fothe sprint. Please don’t ever stop what you are doing. I love your beautiful family! I am very thrilled that you have made this decision, I love hearing from you! I want to take the kids to Disney World sometime soon… 11 times, that is awesome. Enjoy your trip this summer. It took us about 9.5 hours so not too bad normally but Skye was not a fan of it ha:) . Oh I didn’t read the label, I hope so bad he can have the cookie! Half and tri.. you are on fire Sandy! Thank you so much and don’t worry, I won’t hahah! Have a wonderful day. Your Guardians of the Galaxy picture looks a lot like mine did. I wish I had remembered to buy it, because I really liked the ride…once it was over. We just came back from a long weekend at Disney World. We went down for marathon weekend, so I’ve a bunch of weeks with an exercise break. Not total rest, but definitely a lot more. Our big trip for the year though is going to be Hawaii. I’m so excited! But neither of us have ever been, so I have no idea what to do. I WANT TO DO A DISNEY MARATHON… how fun Linda. You are going to have the time of your life, what island are you going to? You need to run Disney! Where else can you stop for a picture with Mickey in the middle of a marathon? Also, it’s such a fun atmosphere. We’re going to Maui and running a half while we’re there. Seriously… I want to so badly. I’m so thrilled for you! Maui + a 1/2 there = perfection. Have the best time! Hi Janae, loved this post as usual! I have a request: could you do a detailed post on how you dealt with your IT-Band problems? I seem to get similar symptoms as you (although my physio says it has more to do with knots in my hips than actual ITBS problems) and I’d love to know how you finally got rid of it! After 2 years and lots of strength training I’m still in pain after longer runs and it’s really starting to get me down…. THANKS a lot!!! That is the thing that has helped me the absolute most. 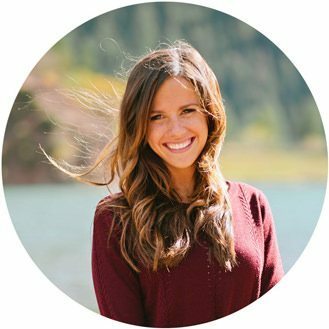 I talk a bit about it here https://hungryrunnergirl.com/2013/03/17304.html but I 100% need to do an updated post about it all. I hope that you can get this figured out asap and I wish you could come see my chiro, he REALLY helped mine. Have a wonderful day Sarah. It looks like you guys had a blast! I just want to say, I know it can’t be easy sharing your kids, but you guys make it look so smooth and like second nature. I’m sure a lot went into making it that way, but from an outside perspective, you guys are rocking it. Just wanted to tell you! I love rides, but the ones that drop super quickly or spin like crazy make me SO sick. 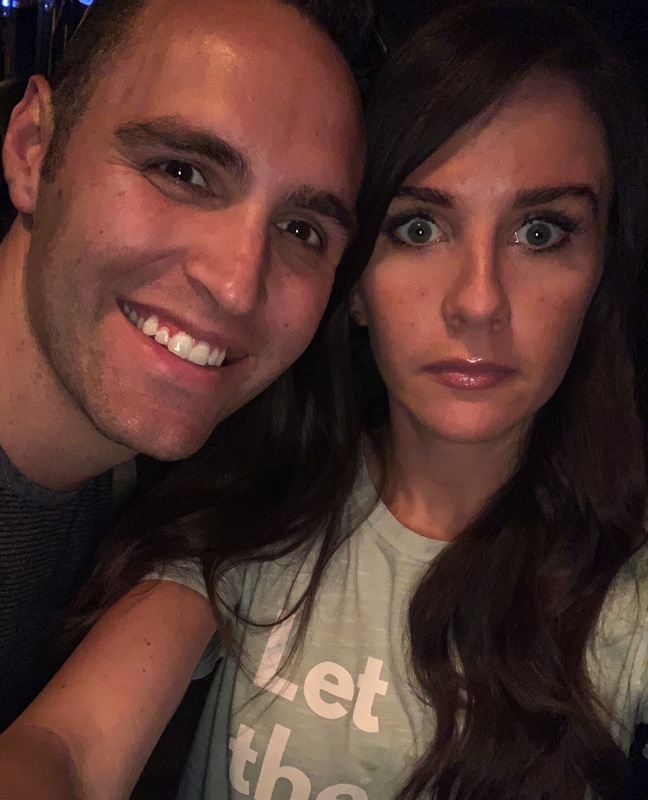 Your face in that picture cracked me up – because SAME! Wow, thank you so much Chelsea. That means a lot. I definitely didn’t grow up thinking that I’d be sharing my future kiddos but I’m very lucky to have good relationships with everyone now:) I hope you never have to go on a ride that drops you quickly again. The worst. Thanks, YOU TOO. I have the 100 hrs driving rule for my boys, too. It wasn’t a problem with my oldest because he was slow and cautious (and ended up with about 150 hrs due to test scheduling problems). But my middle boy (who is not slow or cautious)…he thinks the world is ending because he hasn’t reached 100 yet and I won’t budge…his objections are loud. 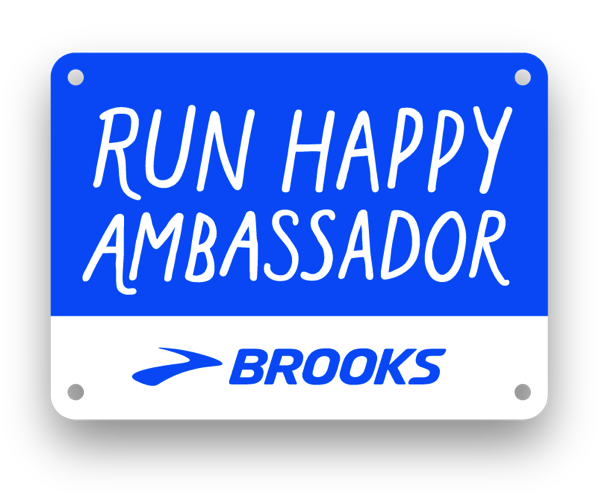 Last on-purpose run break – after my August half marathon PR. Not on purpose breaks – random days through January where it felt like I spent the whole day shoveling snow. YOU DO TOO… I’ve never met anyone else with this rule. Good luck on your middle boy right now and I love that you aren’t budging. 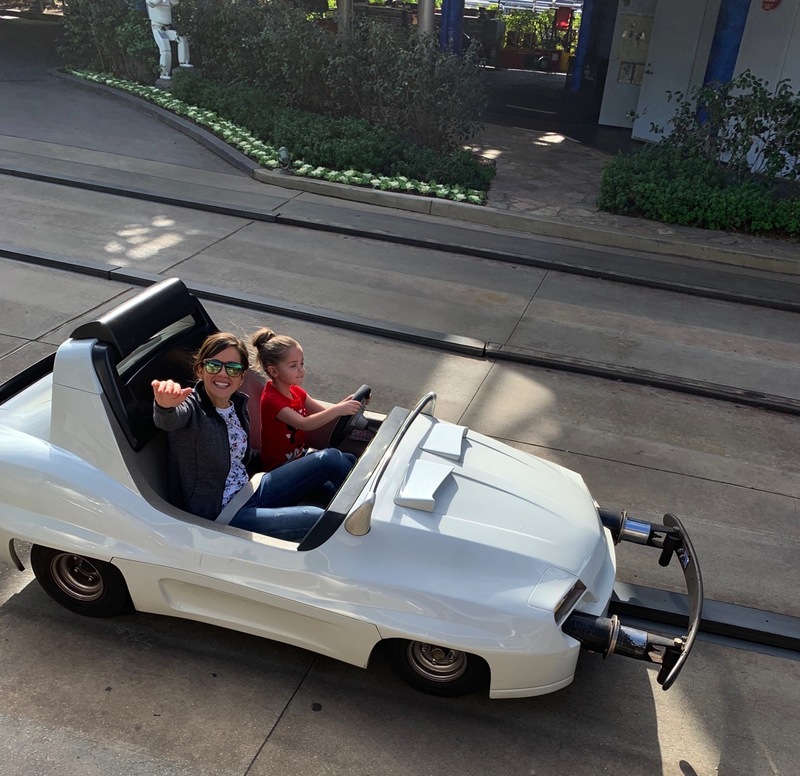 My sister has a current driving rule for her oldest boy and he hasn’t completed it and she isn’t budging either… it’s good for them to stick to it! Shoveling is harder than running so good call on that. Have a wonderful day! Our trips were always camping. We went to Disney once when I was 4, and we went on the church history tour when I was 9 and just about every other vacation was camping. I love camping but sometimes it’s fun to switch it up and do something bigger. You guys inspire us to camp more… and we live in such a beautiful area for it! We did that tour too but I think I was 5. Have a wonderful day Jenny… I’m not sure how I feel about coming back to this weather haha. It looks like you guys had such a great time. I’ve never really been a Disney person (in fact, I’ve never been to the one in Florida!). Growing up we always went to different spots and there was never a “family trip”. HEY HOLLIE!! Thank you so much:) . I hope you have a beautiful Wednesday and come back to Utah and let’s do a race this summer?! That was actually fantastic training for your ultra — time on your feet is what counts! Every single one of those treats look delicious. I went to Disneyland once as an adult and remembered liking the Indiana Jones ride. I’d love to take my son there (or Disneyworld) when he gets older. I never went as a kid and though I don’t feel deprived, it definitely wasn’t as fun as an adult. I can’t get over Skye’s little Chuck Taylors, or that picture of her napping. Brooke looks so mature these days! Ahh! They grow too fast. I didn’t even think about that Stacey… SO true, there was a lot of time on our feet ha. I think you’ll love it a lot more when you see your little guy soaking in all of the magic! They really do:) . Maybe we will meet you at Disneyworld when you go (that is next on our list:). Have a wonderful day Stacey! We are having nasty winter weather. I have had 2 days off school. Killed it on the TM each morning to keep my sanity for how many games of Sorry I would be playing with Hope. Best thing I have eaten lately is lasagna and a ceasar salad Chris brought in for a take-in date night last night. Next trip for us is Iceland. But after your pictures I am thinking we really owe Hope a trip to Disney. I love Disney! Growing up my parents used take us to Disney a lot too. Now, I’m making making those same memories for our 5.5yo. Christmas time is my favorite (come on we’re still listening to christmas music!) We are planning a trip to London/Paris for spring break with a stop over at Disneyland Paris. I hear it’s much smaller and not so food/souvenir-centric like it is here in the US. I’m glad you had a great time and got in some short sleeve weather. I can’t wait for spring! OH MY GOSH I WANT THAT BEIGNET. I am actually scared to have beignets. I know they’re similar to donuts but somehow yummier, and my fear is entirely in this thought: once I have one I WILL BE RUINED. I have enough challenges right now, and I don’t think I can add to them with the temptation of beignets–especially since the coffee bar area of the Whole Foods by me has beignets on their bakery menu and they will make some fresh and hot for you right there. But that Mickey Mouse one looks so dang good. But YAY for a mini-vacay. I hope Knox comes back from Mexico with only the happiest and best stories! I can’t wait to see pictures with him again on the blog. :) I bet Brooke and Skye miss him! As for me: this past weekend I went to AUgusta, GA, where I was one of the featured writers in their writers weekend. I was so exhausted all weekend–my schedule is a bit insane right now–but I gave a craft lecture on translating poetry and I gave a reading and I got treated to the best fish dinner I have had in a non-seaside town. There were some moments where I was so incredibly exhausted I thought I would fall asleep standing up, and that’s not a good thing, but I still killed it and made some new friends with the other writers who were there and I think I represented who I am and what I do and my own brain and creativity pretty well. And my exhaustion was so much that I took Friday, Saturday, Sunday off from exercise. This week I am paring back a good deal from anything that isn’t teaching from my spin bike or my yoga mat and really trying to focus on nutrient-dense foods and as much sleep as possible. Fatigue is never a good idea!!! OTHERWISE–my life is so boring. I wish I had exciting things to say. I did however just order Tom’s Valentine’s gift (we focus on SMALL gifts with a maximum pricepoint of $50). And since Thursday nights are our standing date night and this year V-day is on a Thursday AND his year to cook ‘special Valentines dinner’ (we switch off years cooking because we think restaurants give people a bunch of elevated prices and because a cozy night at home always feels more special, given our schedules…), I am excited to see how it all goes and what happens! Two years ago our work schedules were so nuts that we literally had Valentines dinner two weeks and three days AFTER V-day! My husband and I are taking a group of students (and my daughter) to Boston and New York over spring break! Eek, I’m so excited because I’ve never been to either place and I leave for FL next week to visit my big sis. I took Sunday and Monday off this week. I chaperoned formal on Saturday night after running a 1/2 marathon that morning and got zero sleep, so an extra rest day was necessary! I’m in SoCal so we did a lot of Disneyland and the beach growing up. I love doing the same with my kids. Marissa, HUGE HUGE HUGE congrats. That is awesome and you had so many obstacles that didn’t even phase you. So excited for you and soak in that accomplishment. You have some fun trips ahead… enjoy! Your friend is BRILLIANT. Now that we are ultra training we really need to be prepared… it would be best for our marriage:) . Have a wonderful day Amanda. Oh I am thrilled for you guys… have the absolute best time! We got all of our shirts at Target and they are SO much cheaper there vs the Disney store etc! Looks so fun! That beignet is calling to me. I live less than 2 hours from Disney World but I haven’t been since I was like 6. My family preferred visiting less touristy places and doing outdoorsy stuff. I still definitely do now, too. I had a pretty good run today, the least painful in a week! Turns out I had a misaligned pelvis due to tight psoas but it’s getting better now that I know how to treat it. My physical therapist is great. Today is the coldest day we’ve had all winter (high of 51 – that’s cold for Florida okay)! Is it freezing in Utah? It’s supposed to get to -50 where I grew up in Minnesota! We are on our last day of this trip to Hawaii and already planning our next trip. We really want to get in some island hops this year instead of Les just working the entire time. I feel like I took a few months off from exercise last year. Injuries do that! We went to Disneyland a lot when I was a kid – it’s about 4 hours away from Fresno where I grew up. We also loved going to Santa Cruz – my parents honeymooned there. Glad you had a warm, sunny trip! Looks like you timed it perfectly, rain is on the way to So Cal this week. I remember a family trip we took to Disneyland when I was in grade 1 or 2. I’m pretty sure I thought I was in heaven haha. My brother and I loved every single second we were there. I’m sure Brooke had just as much fun too. Oh, looks like you had so much fun!! I don’t have any finalized trips yet this year, but I do have two friends getting married in June so I am sure I will have some adventures for bachelorette activities. I would love to take another trip somewhere fun though! I am stuck in this polar vortex… this is not pleasant. I think my heat has been running non-stop all day. According to my weather app, it feels about -40 outside right now. No thanks! I’m working from home to avoid it! It’s definitely not fun though. Have you ever used any of the programmed workouts on your Nordic Trac? I have been doing some of the iFit workouts (I haven’t had to pay for them so they must be accessible without paying?) and I really like them! Growing up we went to the same beach in Maine every summer. My parents moved there after they retired! Your pictures have me missing Disney World! Our first 2 years in Florida we had passes and went a lot but we didn’t renew them. It’s crazy thinking that when my daughter is older so many of her stories will have taken place there! Sadly, I am on the no workout list. I’ve been coughing since Christmas and was starting to feel better so had a week of workouts then felt worse. I took an actual sick day last week and went to the doctor. Started taking meds. She said I could get back into the gym when I felt ready but I’ve decided that I need to actually not work out until I’m like… really better. Not a little better. So I’m feeling better but still coughing which is where I was when I went to the gym a couple weeks ago. Being smarter this time. Oh I’m so jealous! I’ve only been to Disneyland once and I’m dying to go back. So far I only have one trip planned this year. The end of May I’ll be spending a few days in Astoria Oregon. I’m excited to explore some of the Oregon coast and I’ll actually be running a 5k while there. First destination race for me. Yay! It looks like you guys had a blast! I’m glad you got to enjoy that nice sunny weather. My family will be there on Monday and it’s supposed to rain a bit. :( It’ll still be fun though! 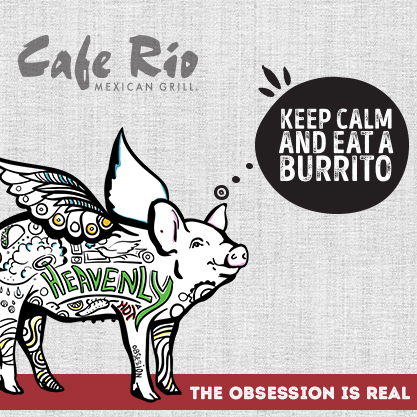 By the way, that burrito looks amazing. Do you know if they only serve it during breakfast hours or all day?? I’m thinking breakfast burrito for dinner on Monday! Thanks Janae! Oh I hope that the rain stays away and you have the best time with your family. 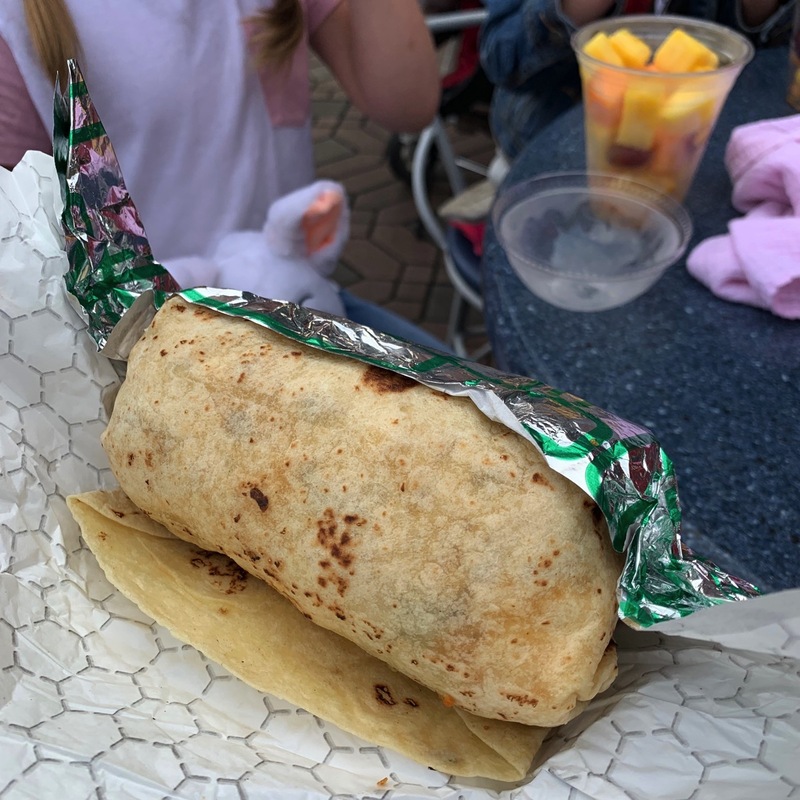 The burrito is only there for breakfast (they also had French toast sticks)… once lunch/dinner hits they serve hamburgers! Have a great time! 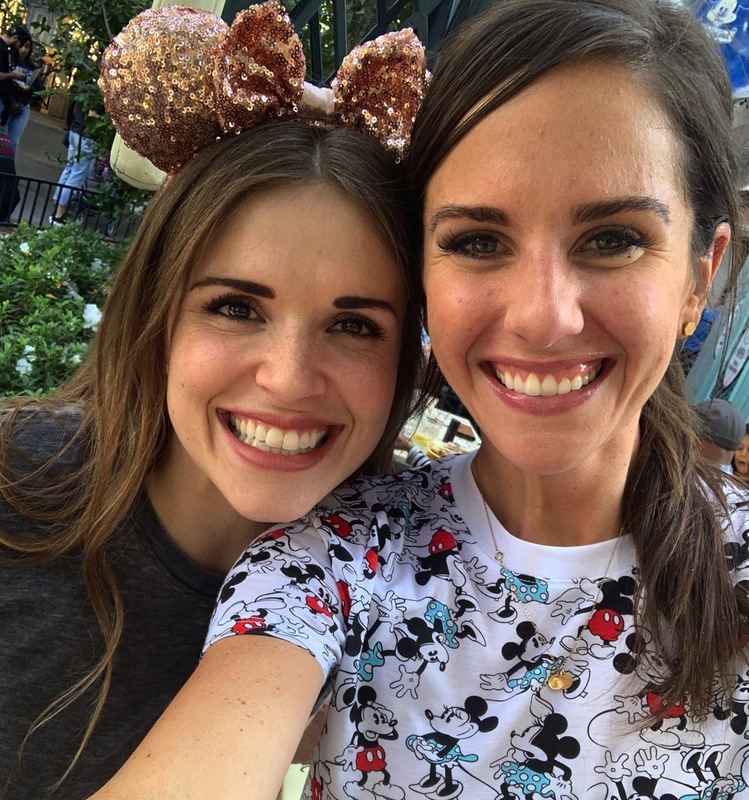 It was so fun meeting you at California Adventure! Thanks for taking the time to talk. Looks like you guys had a great trip. I felt the same way about Guardians of the Galaxy! And I looks just as terrified in my photo! Lol. Did you go on the Incredicoaster?! That one ended up being my favorite ride! AHHHH I am so glad you commented. I loved meeting you… thank you so much! Incredicoaster was AMAZING. Let’s all go again soon:) . Have a beautiful day Michelle! The only trip I have planned for sure is my friend’s wedding in Mexico in November. I’m really looking forward to it because I booked a suite with a balcony and look forward to reading tons of books while sitting on the balcony (I’m a librarian and huge book nerd, lol). As far as taking days off from exercise, I usually have at least two or three rest days a week, but that’s because I have yet to nail down a set workout schedule. When I do my Orangetheory classes, those are pretty intense so I don’t mind resting the next day, especially if I do classes two days in a row. It’s all the standing in lines that makes you feel more sore than after running a marathon. I’m always more sore after a day in Disney than after racing. It’s weird, but I tell you it’s the stop and go and standing that does you in!